“Amazing Race”? We have your amazing race right here. On Sun., July 22, Concrete Theatre will screen director Todd Warger’s latest documentary, “The Mountain Runners,” in two showings, at 1:30 and 7 p.m. Tickets are $7. “The Mountain Runners” tells the story of the Mount Baker Marathon, which enjoyed a brief existence from 1911 to 1913. Held in July or August each year, the marathon pitted 7 to 14 runners against each other in a race from downtown Bellingham to the summit of Mt. Baker. Runners traveled by car or train to one of two trailheads in Deming or Glacier, then sprinted on from there—about a 30-mile round trip from the trailhead to the summit and back. The marathon was dangerous. No, that doesn’t quite do it justice. The marathon was, by today’s standards, just a click away from a suicidal undertaking. The runners who took the Deming trail leaped into stripped-down cars in Bellingham and traveled at speeds up to 65 miles per hour to the trailhead. Some of those cars were little more than a set of wheels, a frame, an engine, and seats. With only gas lamps to illuminate their 65 mph mad dash, many drivers left the road, flipped over, or broke down. Or their cars simply fell apart en route. Runners who took the 1890s steam engine to the Glacier trailhead were equally endangered. During the first race in 1911, as the train raced back to Bellingham, it hit a 1,800-lb. bull and derailed, jackknifing into piles of wreckage. The silver lining? The community barbecued the bull that night and ate it. Runners ran in appalling conditions, suffering multiple cuts and bruises, broken bones, torn ligaments, twisted ankles, snow blindness, hypothermia, and exhaustion. Two racers fell into glacial crevasses. Runners returning to their cars or the train after returning from the Mt. Baker summit usually were delirious and exhausted. Some had to be roped into their seats for their safety. By 1913, the race was referred to as a “Human Horse Race” by spectators. The community came to resent the ill treatment of the race participants, leading to the eventual demise of the contest. 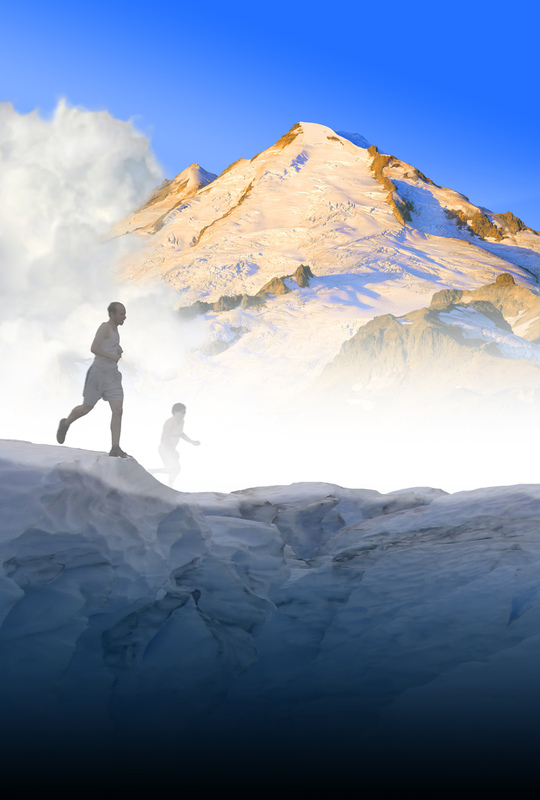 “The Mountain Runners” is a tale of grit, determination, and a pinch of insanity. A portion of the sales will go to the theater’s “Donate to Digital” campaign. When: Sun., July 22, 1:30 and 7 p.m. Image courtesy of Brian Young.